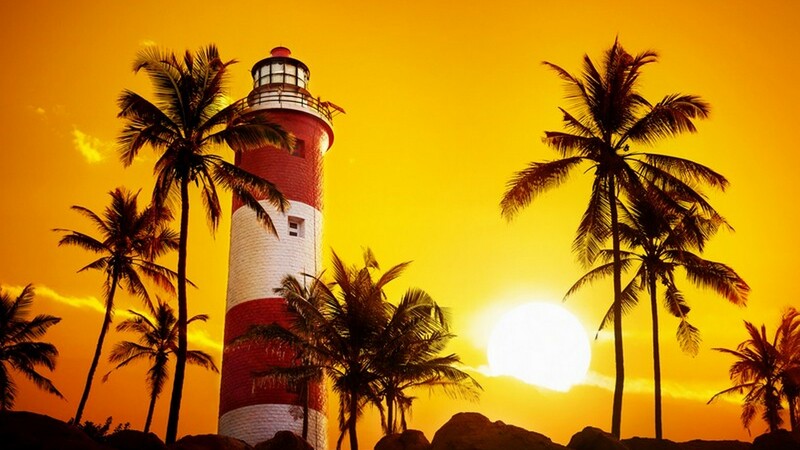 Experience warm, Indian culture in the best beaches in Kerala and most luxurious of tropical locations- Kovalam in one of the best of seaside resorts in Kerala. Kerala is known as ‘God’s own country’ and the Green Cove Resort and Spa along Kovalam beach in Kerala offers a haven of peace, tranquillity and Indian hospitality. Nestling into the contours of a most stunning natural backdrop, Taj Kovalam is one of the premier beach locations in Kerala allowing visitors a true taste of paradise. The contour of the hills provides a warm embrace to the lagoon below with cuisine and daily activities all centered on the beaches and serene backwaters behind the coastline. Take time out with close friends or a special loved one and soak in the beachfront resort that spreads over 10 acres and reflects the spirit of the sea in one of the best beach resorts in kerala. 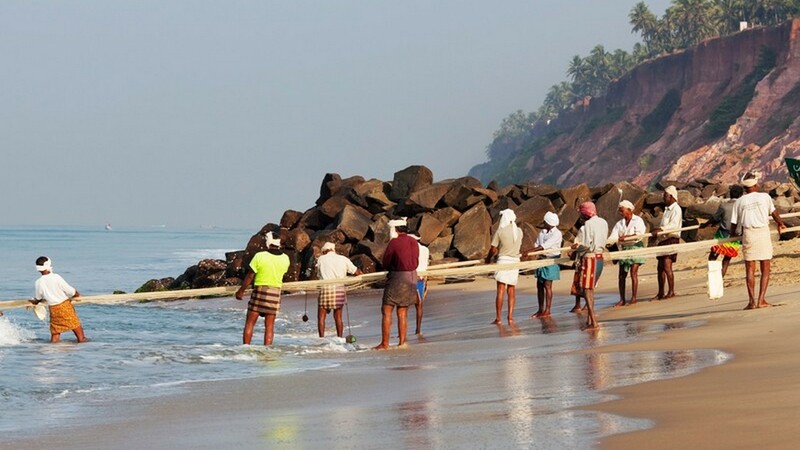 Our tour guide will meet and greet you at Trivandrum airport before you head to the serene beauty of Kovalam. The journey is short whether you arrive by rail or air. Taj Green Cove Resort, your destination, is spacious and well appointed, set in a site of around ten acres with a sense of uncluttered and inviting calm. 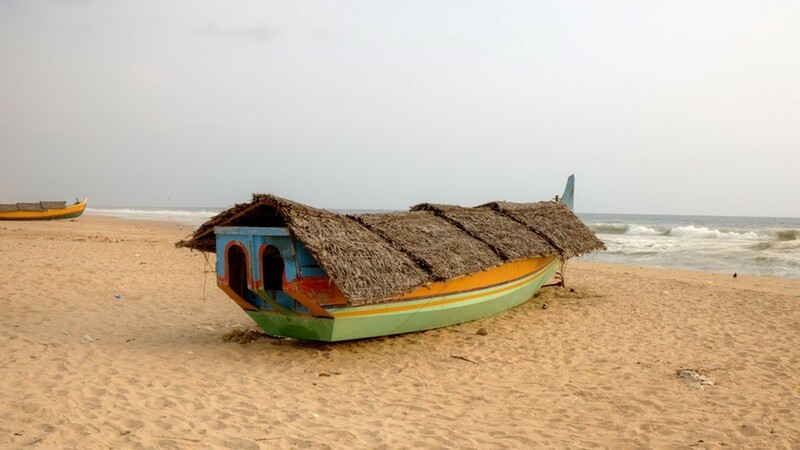 Kovalam is pure relaxation and chill time for mind, body and soul. Make the most of the white, sandy beaches edged with gently waving palm trees, everyone’s dream exotic location. Lush inland waterways thread through the verdant landscape sitting cheek by jowl behind the coastal resort offering contrast and a chance to explore the hinterland. Whichever way you turn, delights await you. Kovalam Beach is noteworthy for its unusual crescent shape, the bay offering three distinct beach experiences for you to choose from. Wander from the popular Lighthouse Beach to the seclusion that is Samudra. Enjoy water sports, partake in a little beach cricket or volleyball or just relax and dine beachside. If you want to stretch your legs, walk up Kurumkal Hill to Vizhinjam Lighthouse which sits above the beach of the same name. The views are spectacular. 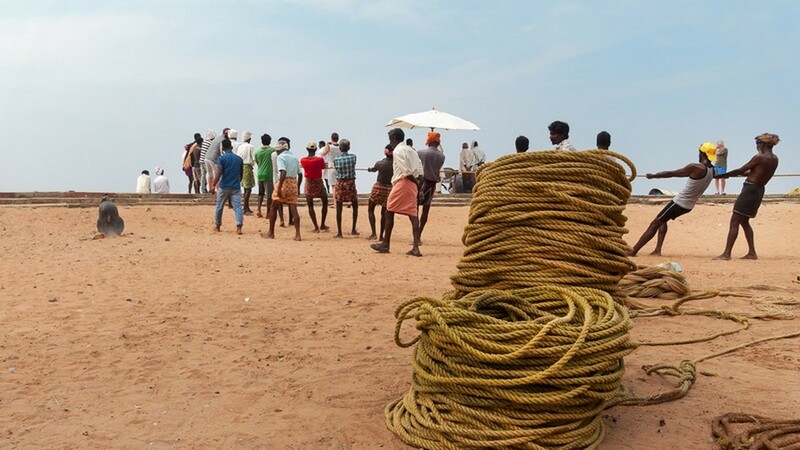 The lighthouse only made an appearance in the later years of the last century but Vizhinjam has a long history throughout the 18th and 19th centuries as a busy port. Time your climb to coincide with the setting sun, confirmation if it were needed, that you truly have arrived in paradise. Green Cove resort offers a range of authentic Indian spa treatments. Treatment rooms are surrounding by secluded green courtyards and a plunge pool, a haven in which to experience a choice of traditional therapies which will restore and invigorate your mind and body. Sample local Indian refreshments in a dining nook adjacent to your courtyard before taking a wander through pretty shops selling crafts and jewellery. A leisurely start to the day with a relaxed breakfast will allow you to bid a fond farewell to Kovalam. Take home with you some of the exceptional restorative properties of this heavenly location with a note to self to return before too long. The total distance in the Luxury Beach Holiday Package at Vivanta by Taj, Kovalam is 486 kilometers .The road conditions can be crowded though on occasion with pedestrians, cattle and local traffic! The activities on this trip are geared for everyone. Type of Vehicle A/C Private Vehicle with chauffeur at your disposal through out the tour. Booked Luxury Beach Holiday Package at Taj Kovalam?